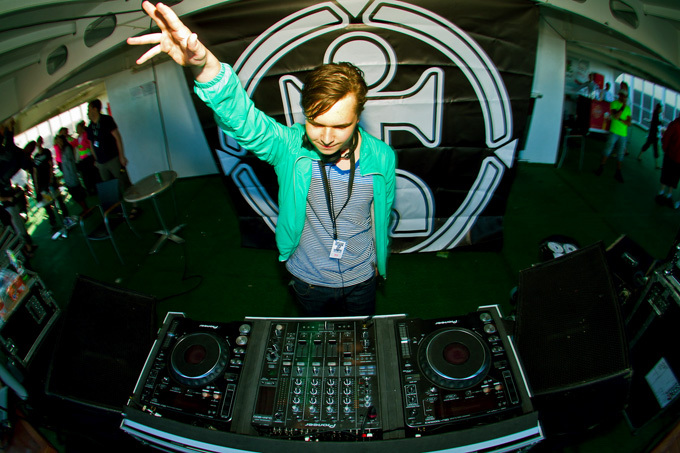 G Larsson – Exclusive mix for bejbi.se. The nineth of our series of exclusive mixes..
Click ”see the rest of this entry” to read more about G Larsson and to download the mix. G. Larsson aka Grigorij Larsson, born in October 1991 grew up in Stockholm, Sweden. Melodies and rhythm were increasingly becoming a more Important part of Grigorij’s life as he was reaching for his teen years. Trance music got his attentage because of its unique sound which merged beautiful melodies and rhythmic patterns. Grigorij wanted to make trance music as well, but the lack of funds and the knowledge of how to, stopped him from it for a couple of years. At the age of 16, Grigorij got his first very own Dj gear, and from now on things were evolving quite rapidly. He learned the basics of djing, and his knowledge of music became very big. He now has his own radioshow on radio4by4 and he has already been playing at the biggest venues in sweden. His main challenge now is that he tries to focus on his own productions, so keep an eye out for this upcoming dj and producer. Now he´s the nineth one out for a series of exclusive mixes recorded for bejbi.se by our favorite dj´s, both well known, and unknown, that we will publish once a week untill we run dry. Download G Larsson´s Exclusive mix here (right click and save as) or listen to it live on Soundcloud or just press play below here. If you want more of G Larsson, check out his blog glarsson.blogspot.com for his podcasts and to get the older ones. 2 Responses to " G Larsson – Exclusive bejbi.se mix "
Had a little problem with the ”save as” link, but it´s all good now!